In no particular order, I thought I’d do a post or two on sites that I find intriguing, amusing, and make me think. First up is an occasional blog from a veteran of the gaming hobby: Tom Meier. Tom’s a sculptor of insane talent as well as having something of a dry wit. 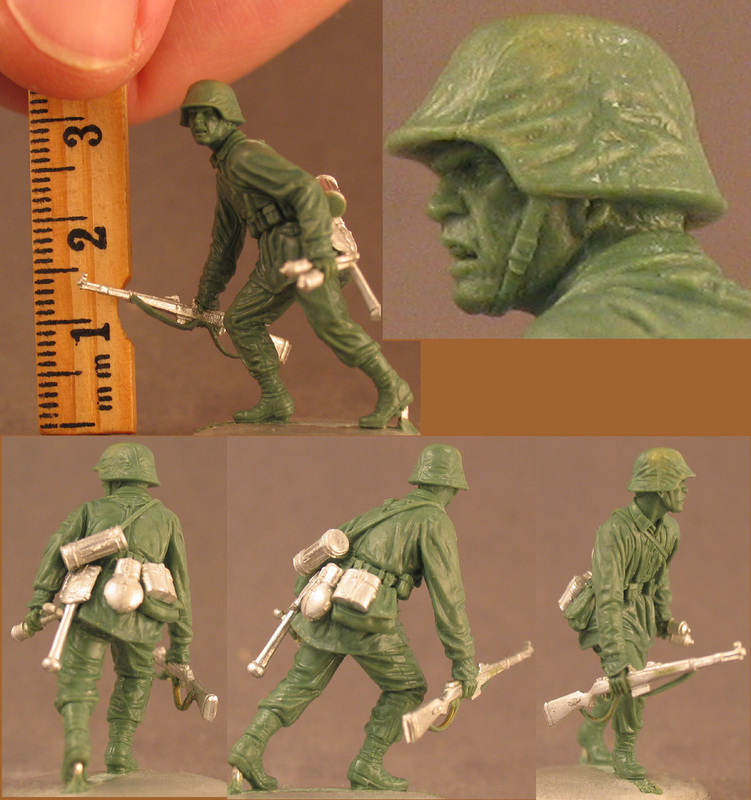 The blog is as worth reading for the humour as the discussions on model scale, details of Theoland and Noraland, and insights into why models get sculpted as they do. He also includes many pictures of current projects, and the images below are what have made me particularly attentive over the years it’s taken for this project to bear fruit. The pictures speak for themselves really. The models aren’t out yet though I’m told that they’re getting close now and the prices I’ve heard sound fair (though he asked me not to tell). 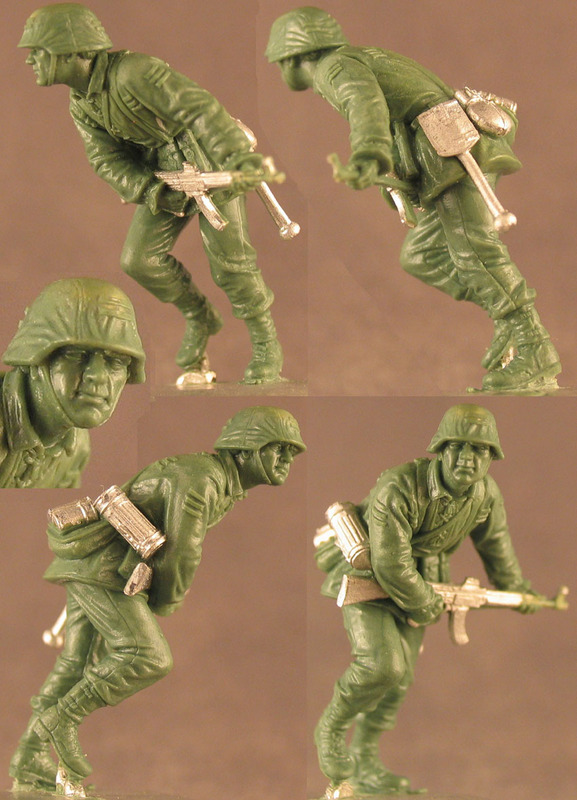 They’re being made for Fox Miniatures in 1:48th (35mm) scale and they look gorgeous. Do want. Oh, and detail? The mind boggles. The coin shown below is a US cent. Remember that these are all 35mm models. 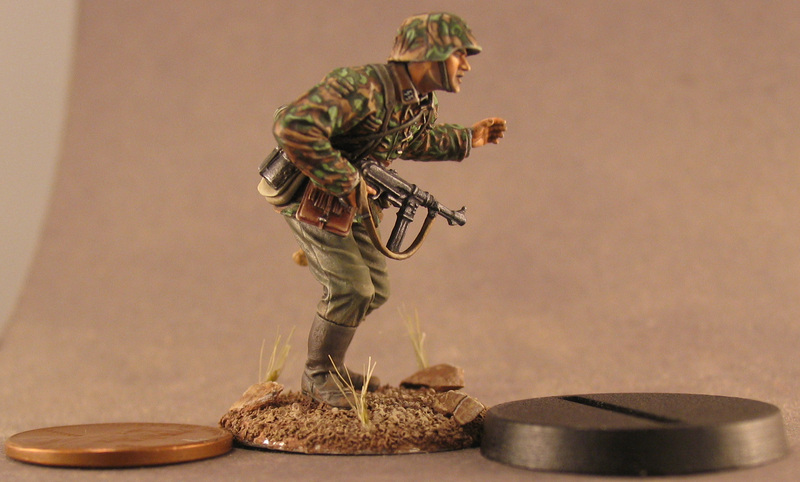 Now thats nice cammo, i love the ww2 german cammo colours oak leaf and pea dot. It’s a pretty impressive piece of painting, especially considering the size of the model. I know. 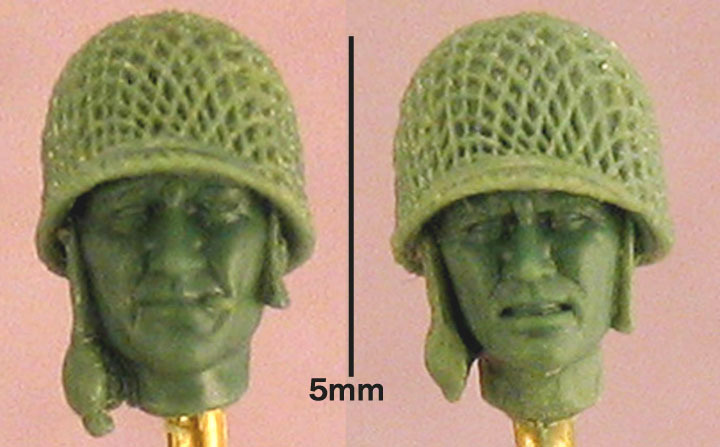 I’ve seen 90mm models with less detail.